I am a writer driven by a passion for hatchbacks. I absolutely love cars that provide bang for the buck. Excellent fuel efficiency with burst of power. Stunning design and generation next safety. I'm unwilling to settle in for anything less than the best. 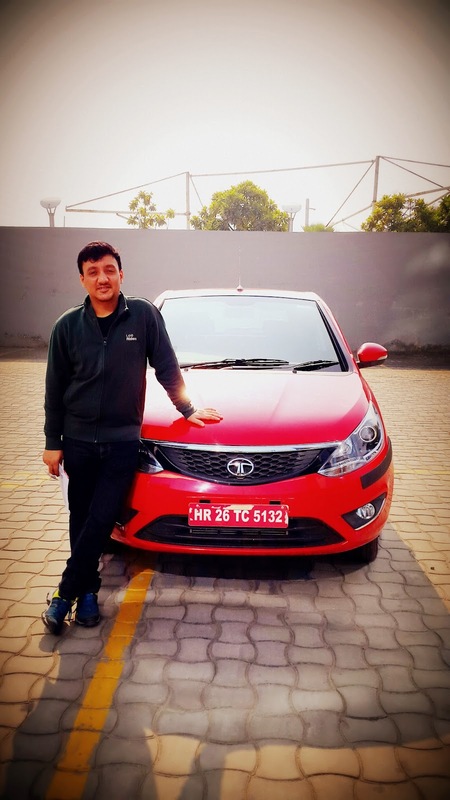 My high expectations of what I desire from the perfect mean machine are often squashed by car manufacturers in India who are either compromising on the quality by not providing all the features or on the design by not being innovative. Tata is the only Indian car company I can think of that is trying to change the norm and bring about a paradigm shift in the way we look at driving on Indian roads by putting in the best of engineering practices into their design. 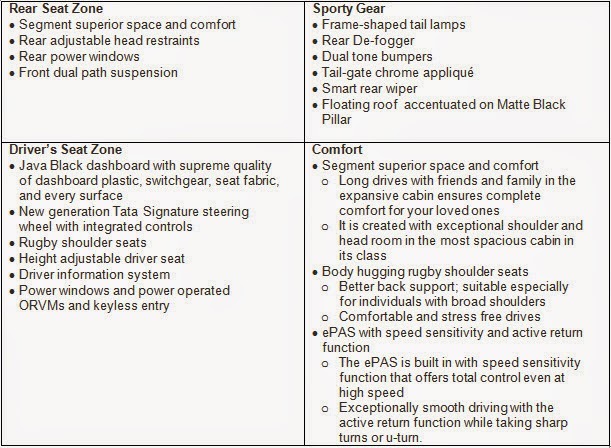 Pick any new car from Tata and you're likely to rave about its style and comfort. My own admiration of Tata started from Nano, grew with Zest, and has continued to increase ever since. 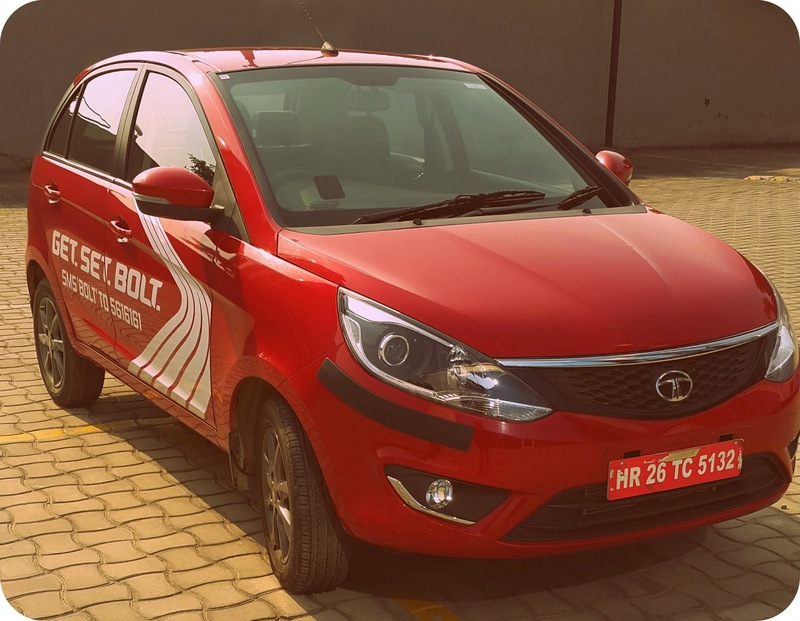 Quite naturally, I was super-excited to learn that they are launching a new hatchback called BOLT this season - custom-made only for the Indian consumer. A chance visit to the Ambience Mall turned out to be perfect as I could catch all the action around BOLT live. I also got to test ride the car, and see all the superior features firsthand. Freaking exciting to say the least! In this post, I'll provide you the Top 5 features of Bolt that are truly cutting edge and why I'm eager to Get. Set. Bolt in the new BOLT. 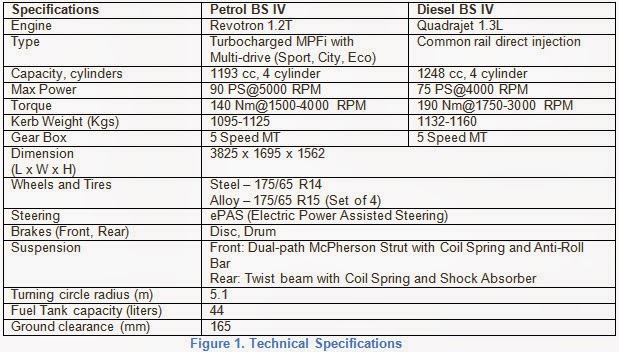 But before we get started, I want you to look at the Technical Specifications below. BOLT's engine is designed and developed by Tata Motors in global collaboration with tech partners like AVL, Bosch, Honeywell, and Faurecia. The hatchback is available in both petrol and diesel variants to ensure a power-packed performance and exceptional driving experience. If you're planning to buy the diesel variant anytime soon, it comes with an internationally acclaimed engine with turbo charger called the Quadrajet 1.3L engine. At the time of test drive itself, the sales staff recommended I go for the petrol variant that comes along with a Revotron 1.2T engine. For the first time ever, a compact hatchback in the Indian market is offering multi-drive options to choose from. The built-in multi-drive mode feature in BOLT offers three modes: Sport, Eco, and City. 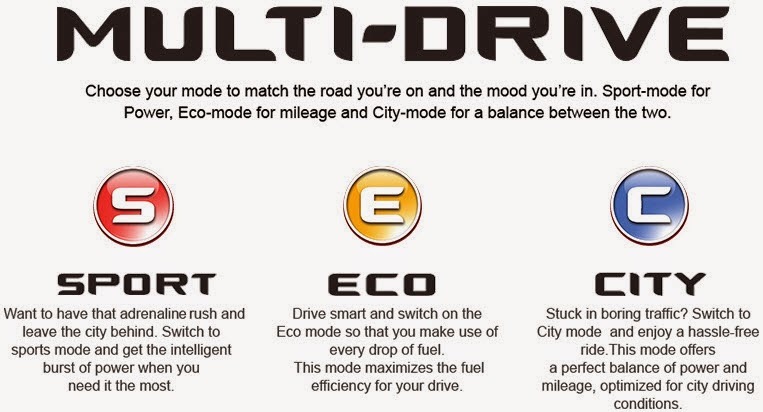 All modes have different advantages associated to them. Switching between the three modes is a breeze. You have the power of 3 engines in 1, so choose at will between an intelligent burst of power, maximum fuel efficiency/mileage, and a perfect balance of both. Use this mode to zip through the city traffic and reach your destination faster. Optimize the output for maximum fuel efficiency. Use this mode for long drives without having to worry about refueling. Balance between fuel economy and power. Use this default mode for daily commute to your workplace or markets. Safety comes first! While looking at a new car, I specifically check for an array of advanced safety features that help in my purchasing decision. BOLT provides generation next advanced safety features to put your mind at ease while driving, allowing you to stay in control at all times and drive safe. The dual airbags prevent occupants from a direct impact in case of frontal collision. With enhanced safety of the driver and co-driver, it is unlikely that you'll strike a hard surface (like dashboard) during an impact. Directional control is maintained with ABS that prevents wheel lock-up during a panic, hard brake. BOLT ensures absolute safety in case of sudden braking, by sensing the wheel speed and preventing wheel lock-up. CSC ensures enhanced safety while negotiating tight corners. When the car picks speed, you need to ensure the safety of every passenger, especially kids, by instantly locking all doors. 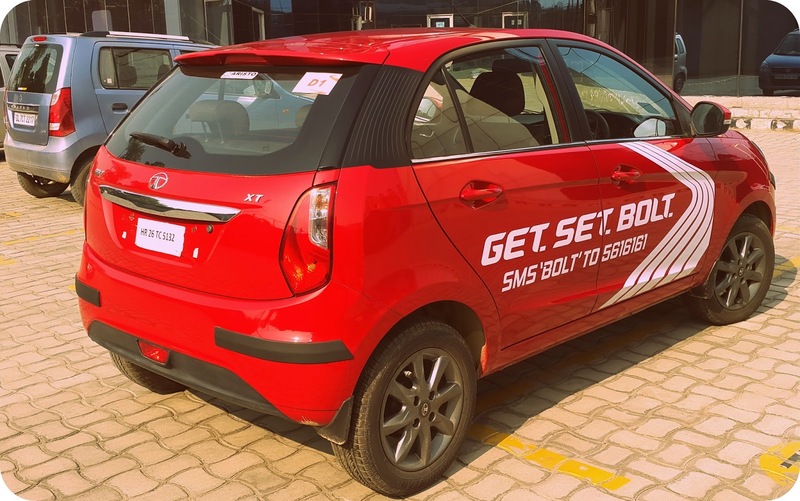 Active speed-sensing auto door locks in BOLT does the needful! Step inside a BOLT to step into the future of connectivity. If you're looking for a new, state-of-the-art touchscreen multimedia system offering superior connectivity features and unmatched entertainment quality, all you got to do is play around with the new-age console in BOLT. Fulfill your need to stay connected - on-the-go - through the next-gen Harman infotainment system, which is exclusively designed with best-in-class features like touchscreen control for music, temperature, and voice controlled actions. Using the speed sensitive auto volume adjust feature, you can match the music to the pace of your car. As the intensity of music adjusts to your car's speed, the ambient noise is eliminated, rendering a whole new music experience. Experience a first of its kind “surround audio effect” with 4 speakers and 4 tweeters. The surround-sound like music makes you feel every beat while you take your BOLT out for a spin. Use the advanced voice command recognition system to make calls, change tracks, control climate via AC, and radio on the move. Reads the messages received without accessing the mobile phone for added safety and convenience, so you can enjoy uninterrupted drives, never miss a thing, and stay informed and updated every moment. BOLT is a classic example of Tata's new design philosophy spread across the UK, Italy, and India design centers. Design takes a new form and finds a new meaning in the stunning BOLT. Strong shoulder lines and Chrome on weather strip. LED indicators on Outside Rear View Mirrors (ORVMs). Dynamic 15 inches Alloy wheels. 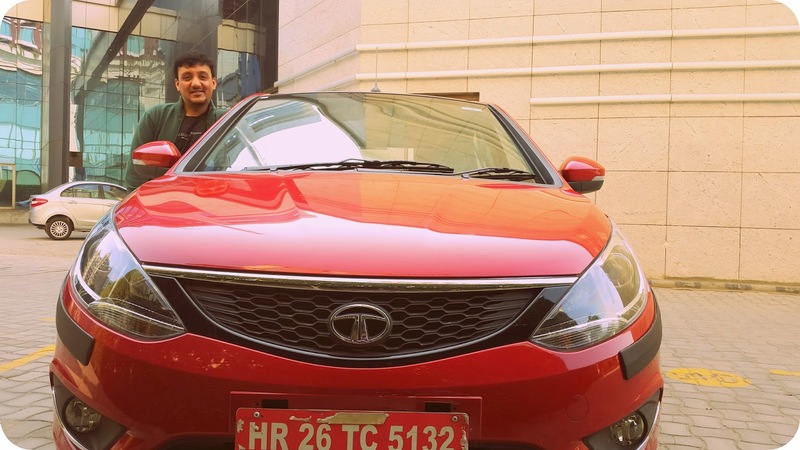 Tata Signature Grille with Humanity Line. Dual tone front bumper and sleek integrated fog-lamps. I could go and on about the new BOLT but here's a final snapshot of what else you can expect. So there, are you ready to Get. Set. Bolt in the new BOLT?